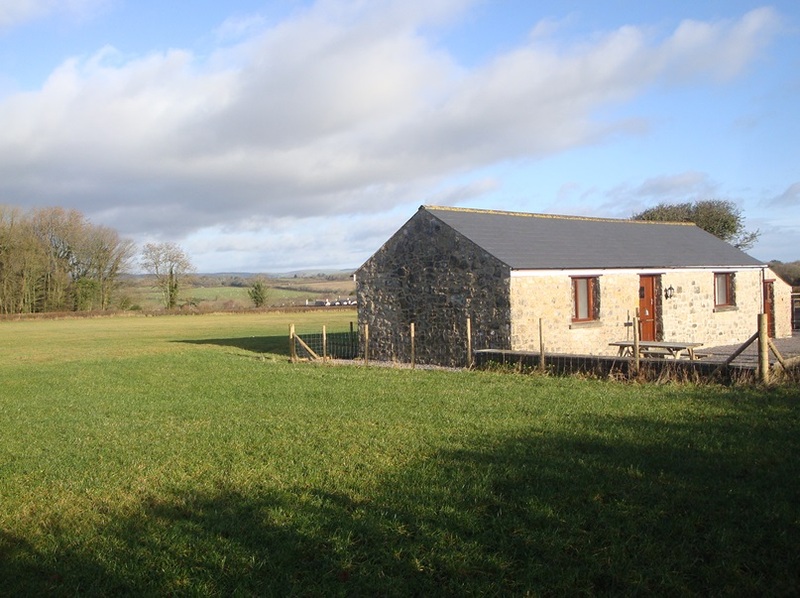 May Tree Cottage is a newly converted stone barn in the grounds of Penyrheol Farm House set in 12 acres of pasture land in the beautiful Vale of Glamorgan with views towards the Black Mountains. May Tree Cottage was created from a stone barn and the conversion was subject to the latest high level of insulation standards demanded and because of its south facing aspect is very cosy and energy efficient. All the doors are wide enough for wheel chairs and the switch and socket positions are also designed for wheel chair users. The cottage is situated approximately 140 yards from the country lane and approximately 100 yards up its private drive from the main house. Guests are therefore assured of complete privacy and peace. The village pub and restaurant with its open fire is approximately 300 yards away as is the beautiful church and duck pond. (However, please note that the pub may be closed due to a change of ownership). A little further along the road are fishing lakes.